In the general election three Sundays ago, Wong, who at 19 was too young to run for office, took a back seat. 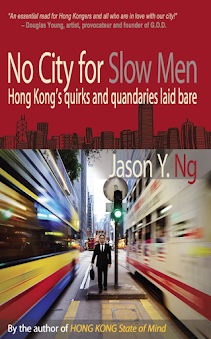 He campaigned for Law in a bid for one of the 40 democratically elected seats in the city’s legislature. 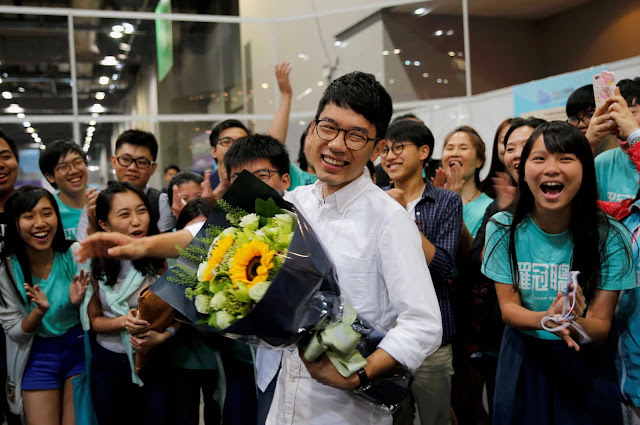 Law went on to win the election and become one of six fresh-faced lawmakers elected on a platform of increased autonomy from China. 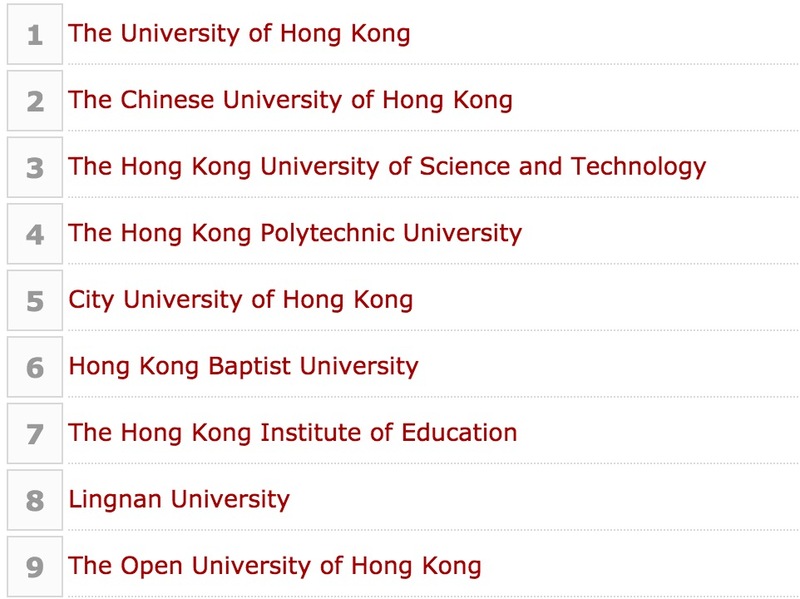 And so, for the first time since was catapulted to international fame – after successfully thwarting the Hong Kong government’s attempt in 2012 to introduce a patriotic curriculum in primary and secondary schools – Wong was not the center of attention. The day after his election win, Law appeared in major newspapers around the world. It was him – and not the much more famous Wong – who took live interviews with CNN and the BBC. In one telling photograph taken at the vote counting station, a jubilant Law was pictured cradling a bouquet of flowers while surrounded by cheering supporters. Standing next to him in the image was Wong, whose face was all but eclipsed by the oversized bouquet. Wong appeared unfazed by how the spotlight had shifted to his friend. Being in someone else’s shadow seems hardly cold at all, especially if you were named one of the world’s top ten leaders by Fortune magazine – as Wong was in 2015. The teenage student leader takes three to four interviews each day and holds daily meetings with like-minded activists and politicians. His jam-packed days begin at 9am and end well past midnight. 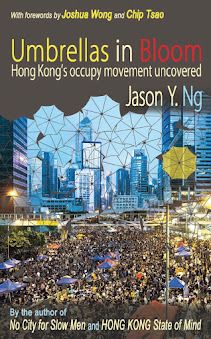 Wong’s schedule has not changed much since he graced the cover of Time magazine shortly after the Umbrella Movement erupted. The foreign press frequently compares him to that other teenage activist, Nobel Prize laureate Malala Yousafzai, in terms of charisma and name recognition. Part of that fight is to garner international support for the city’s pro-democracy movement. Before the recent election, he and Law toured Britain and the U.S., giving speeches at Oxford, Cambridge, Harvard and Stanford. With Law now focusing on the upcoming parliamentary session, Wong will take up the bulk of the overseas speaking engagements. The next couple of months will see him travel to Bangkok, Washington D.C., New York and Miami. 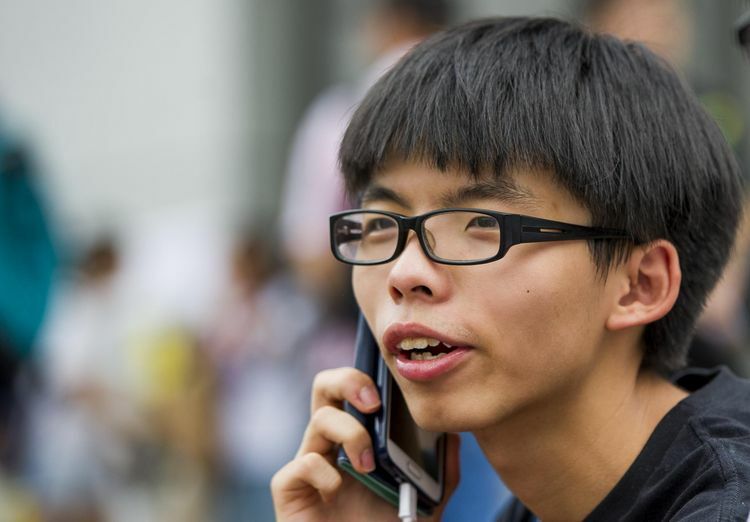 Wong now appears less fidgety than at the height of the 2014 protests when he spent nearly three months camped on the streets outside Hong Kong’s government headquarters. He smiles frequently and no longer checks his smartphone every 15 seconds. What hasn’t changed is his signature bowl haircut and heavy-framed spectacles. His denim shirt and cargo pants are those of a typical Hong Kong teenager. But Wong won’t be a teenager for much longer. He turns 20 in a few weeks and will lose his status as a student leader when he graduates from university in 2018. And if he doesn’t manage his career carefully, the comparison may shift from Malala Yousafzai to Macaulay Culkin or other failed child stars. Wong knows that time is his biggest enemy. That’s why he filed a judicial review prior to the general election to overturn the minimum age requirement for election candidates – a fight he ultimately lost. The next election is four years away. In the meantime, his prospects remain murky. Wong currently attends Open University, which ranks last among the nine universities in Hong Kong. While he does well in his political science classes, his grade point average has been pulled down by non-core subjects with which he struggles, such as statistics. A lackluster transcript aside, Wong’s main career hurdle is perhaps his name. 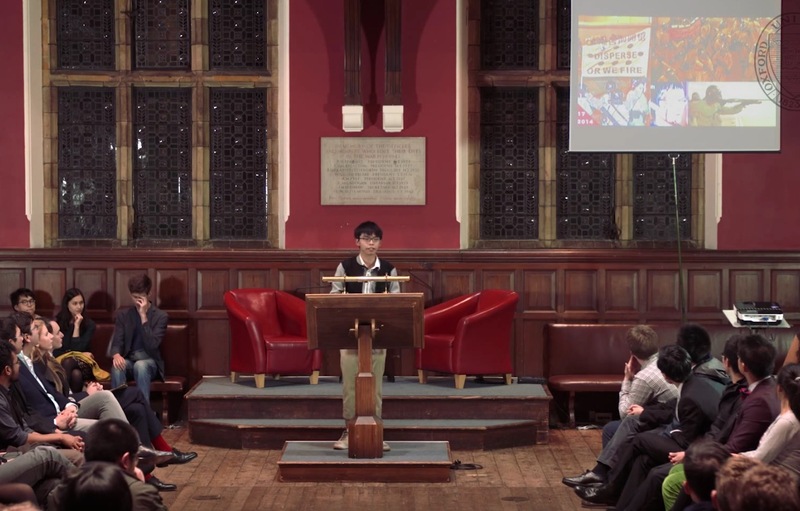 Being a high profile political activist who was recently convicted for his role in starting the Umbrella Movement means that – in the long term – a career in politics may be his only option. Jobs in both the public and private sectors are out of reach. No bank, telecom company or property developer – by far the largest employers in the city – would want to associate its name with a thorn in Beijing’s side. Still, friends like Matthew Torne, the British director who shadowed Wong for months while filming a documentary that chronicles Wong’s campaign against the patriotic curriculum, have urged the teenager to think long and hard about whether a career in politics is the right move. Wong appears to be listening to his friends’ counsel. 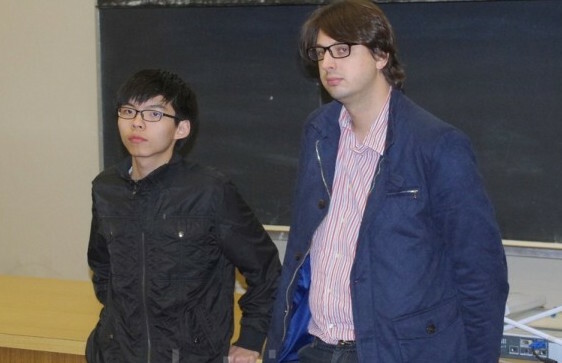 “I want to wipe the slate clean with a master’s degree aboard,” Wong mused. His ever-growing rolodex, which boasts professors at top postgraduate programs around the world, will come in handy when he is ready to take a hiatus from public life. For now, the protest leader gets by on a modest monthly allowance from his parents, with whom he and his brother share an apartment in a middle class neighborhood. When he doesn’t eat at home, his meals are paid for by politicians and reporters. Foreign trips are funded by institutions that invite him to speak. “My biggest expense is cab fare,” the teenage activist said almost apologetically. “I’m always running from one place to the next, and I don’t have time to take the bus or the subway.” In Hong Kong, taking taxis instead of mass transit is considered a luxury for students. 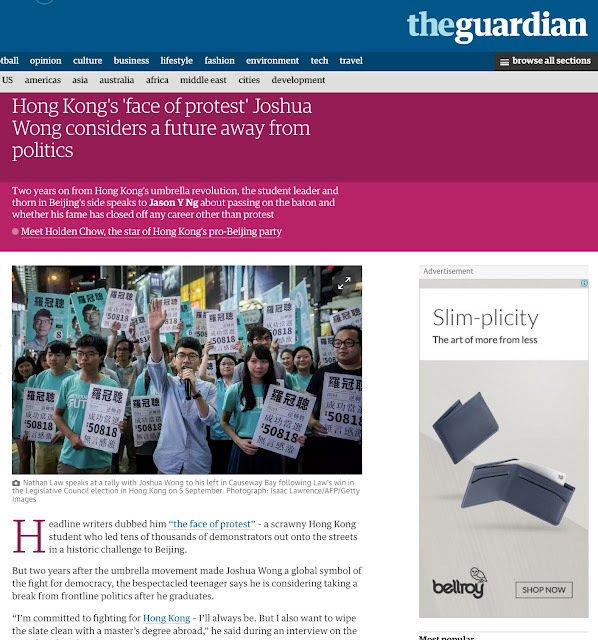 A shorter version of this article was published in the 28 September edition of The Guardian.